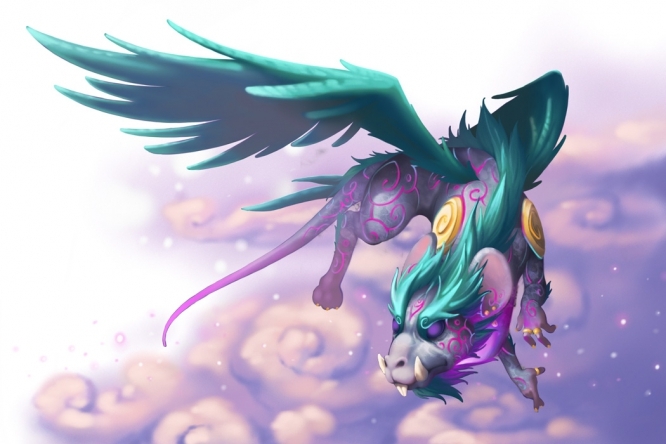 The Dream Drifter Mouse is a breed of mouse found in the Gnawnia Rift location. They are known to drop Ionized Salt, Magical String Cheese, Magic Essence, and Riftiago Potions as loot. But beware the nightmares: One should fear the darkness and storms when they come, for it means the Dream Drifter is troubled, and not too far away..."
Dream Drifter mice have been found to be especially attracted to Magical String Cheese, but are also rarely attracted by Brie String Cheese. The Dream Drifter Mouse drops the Enlarged Rift Egg during the annual Spring Egg Hunt. Dream Drifter mice were introduced on 25 March 2014, with the introduction of the Rift Plane. Dream Drifter mice are the Rift version of Flying mice. This page was last edited on 27 May 2017, at 02:34.